I’m so excited to finally be able to start un-officially homeschooling our oldest (Farmer Boy) this fall! It’s un-official for a few reasons…. First, he is still quite young. We will be doing a more normal preschool type curriculum next year. But for this year we want him to start learning some basics and mostly just get used to the idea of a routine and following instructions. And second, it’s not official homeschooling since I’m not planning on doing regular homeschooling but something more like half homeschooling and half un-schooling. We will see how that works as time goes on. 🙂 Basically we believe that life skills and creativity are just as important as “book learning” and we want our littles to have a healthy mix of both. What do I know about homeschooling? Well if you didn’t already know, I graduated from being homeschooling (5th grade through high school). So I’m proud to say we are second generation homeschoolers. I’m no expert but now that my mom has well over 15 years of homeschooling experience, I’m relying on her expertise and my creativity to make our lesson plan for preschool happen. We’ve always hoped that it would be a part of our simple living journey and I’ve collected books for years (even before we had children) while dreaming about this day. Do I sound crazy yet? It’s ok, life isn’t fun without a little crazy! Like most things in our life, we’d love to have you along for our homeschooling journey as well. 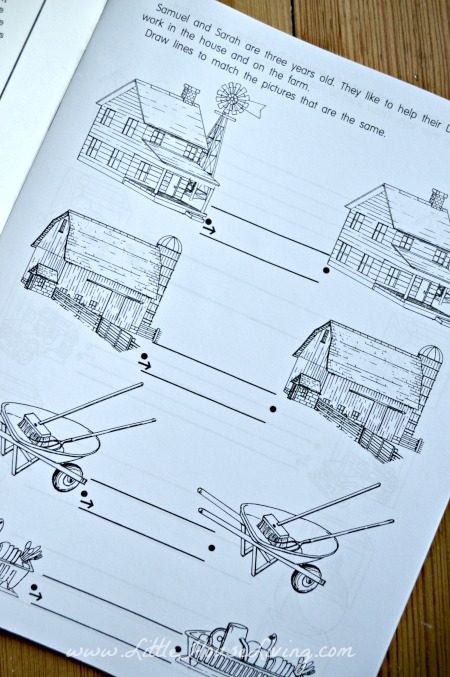 A few weeks ago I asked on the Little House Living Facebook page how many homeschoolers are Little House Living readers and I was amazed at the response! Even if you don’t plan on homeschooling, you may be able to use many of the activities I plan on posting in your day to day lifestyle. Ok, with all that out of the way now let’s get to how this is going to work! I have a plan but I’m open to seeing how it goes. I believe each little one should have an individualized learning plan and this is what we will be doing with Farmer Boy to get started. We are hoping that if we achieve these goals with the next year of “schooling” it will set us up for an even better year of learning next year. I’m not putting a time on any of these activities, everything will happen in a natural flow and not a forced setting so it becomes routine instead of a strict and stressful schedule. Free play is indoor or outdoor play depending on the weather, school time is your typical “homeschool” time (ie: a worksheet), life skills is a project to do with mommy (ie: sweeping, dusting, cooking, etc), and the activity is what you will see in the section below. And yes, the nap is for the little ones, not for mommy! As I mentioned in the title, we are starting by learning shapes! This year I’m hoping to teach Farmer Boy: Shapes, Colors, Numbers (1-10), and Animals. Hopefully working in those basic areas will set him up to start learning the alphabet next year. Each study will be 30 days long and we don’t need to do a school activity each day depending on what is going on. Each day will start of with a homemade breakfast. I’ve been working hard on meal planning to get back into my once a month routine and trying to plan out breakfasts and lunches as well so we have an easy day and no stress trying to figure out what’s to eat! We will then move into “school time”. This will either be a page from Rod and Staff’s Preschool Books or a coloring or tracing page based on shapes. 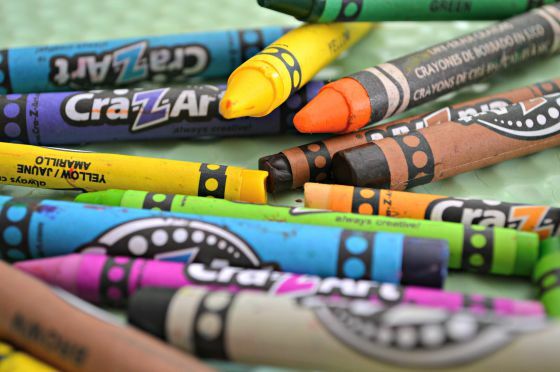 We chose Rod and Staff because of the simple set up of the preschool curriculum and we will first be going through the books doing the activities and tracing with fingers and then doing them a second time with a crayon or marker. The idea behind actually using some kind of curriculum is to reinforce the idea of following instructions. After this it’s time for a session of free play either indoors or outdoors depending on the weather. Then we will do some kind of life skill. For us this means having Farmer Boy help sweep the floor (he has his own little cleaning set! ), or dust the furniture, or wash the windows, or even help with supper prep. Anything that is a basic skill that he will need to know as he grows older. Back to free play again for some fun and creativity. Story time is going to be a part of our daily routine because Farmer Boy absolutely loves books. During this time he will have one book that I picked out that reinforces the study (shapes) and then he can pick out as many books as he wants to have us read to him. We placed a bookshelf at his level in the dining room so he has his choice! 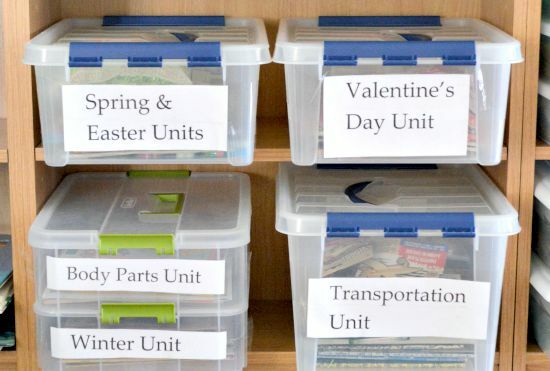 When he is done reading books we will have some kind of activity or craft that is on our unit topic (and you can find the list below). I have these all prepared in advance so we just simply need to pull out the bag with the pieces for the craft and can do it together. After the craft is done there will be lunch time and then a good long nap and it officially will end our “school” day. Each day we will have a craft or activity to do that reinforces the unit study of shapes. Here is the list of the shapes activities for the 30 days of study. Well, that’s our plan for our Shapes Unit Study! I’m excited to see how things go as we get into it further and to start working on our next study which will be colors. I will have the next study up for you to see later this year, along with any changes we’ve decided to make to our routine. Are you planning on homeschooling or supplementing your child’s education at home? What does your daily routine look like? I’m looking through all the crafts you linked to (thanks for that! ), and I think he’ll like some of those though! We used a book I found at LaLache years ago. It was a preschool at home book. Very good. 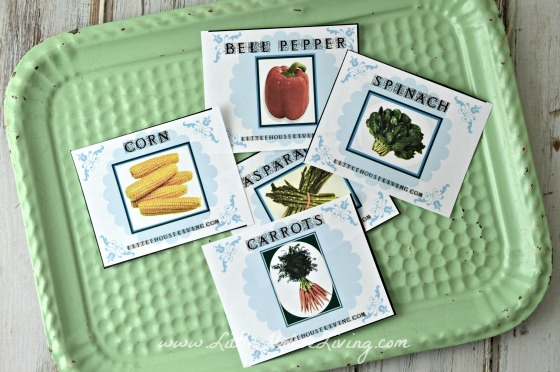 It gave lots of ideas that could be used by someone homeschooling or even doing preschool with other families. Thankyou so much for sharing and being so inspirational . Im going to give this as a guideline for our little man soon to be 3 in November . Hello! I think its great that your getting him started on a routine it really does help no matter what kind of schooling you choose. We are a homeschooling family also. We have a 4th grader a 1st grader and a 3 yr old preschooler! We use an online curriculum based school my kids need the extra structure and i like them having an actual teacher that they can turn to if im not explaining things to them clear enough. I love the idea of unschooling but the laws about it are different from state to state so we try to incorporate the life skills into our daily learning. Good luck with your homeschooling adventure! also during all this time i do my house chores and preschool work with the 3 yr old! during recess and after school is when i also do what needs done in the garden! we also take breaks depending on the moods of the day! I’m so excited to see this post! I nearly e-mailed you a few months ago when I found out I was pregnant with our first baby to ask you if you planned on homeschooling. I’ve also been collecting books and educational materials for years, long before I even knew my husband, in preparation for that day. Mind you I’m not even due until February, but homeschooling is already on my brain :-). I absolutely love the idea of homeschooling/unschooling! Thanks so much for sharing this! Our teachers are on strike so we have started doing some homeschooling with our oldest and I wanted to find something for my little guy to do at the same time. Just curious if there was some reason you decided to start with shapes instead of something else? 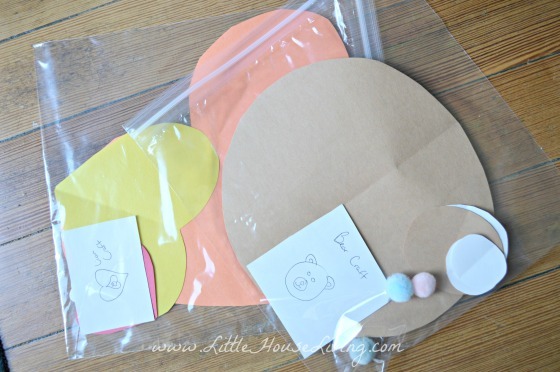 Hi Amanda, we started with shapes because our little boy knows a few of them already so I thought it would be something a little easier for him to start with (since my main goal is just to teach him to follow directions). 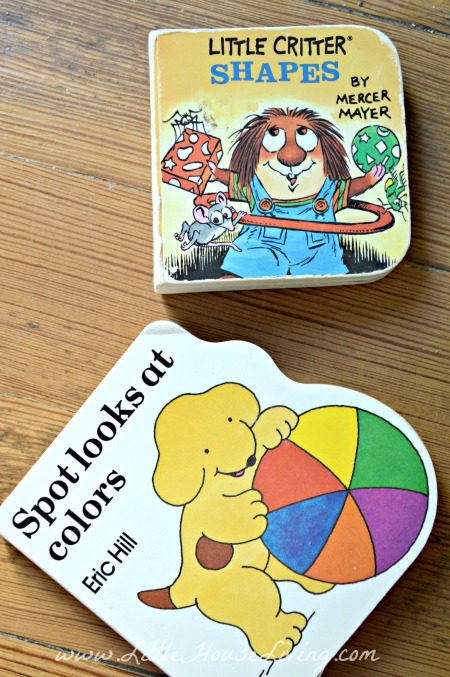 Also, we are going to start colors next and I found lots of activities that incorporate both colors and shapes and I thought that would be a great way to reinforce the first unit study while working on a second and adding to what he’s learning now. Thank you so much for sharing this page ;). My daughter is 4 and I just found out because her birthday is September 9th, she will not be starting kindergarten next year in 2015, and since pre-schools are so expensive and I am lucky enough to be able to stay at home this year because I am pregnant. I love the idea of getting my daughter on a pre-preschool schedule plus supplementing with putting her in a sport or ice skating this fall/winter to occupy her time. I absolutely love the fun and easy crafts posted in this page, and I literally was having a terrible time getting her to bed at the same time each night, but started reading her 3 stories (short) or 2 (long) to put her to sleep and amazingly it works. So I would love to work in a craft time, learning time, ect into each of her days. And I am thinking of making a basic timeline for each day like the one’s listed above. I’ve never really thought to do something like this, but absolutely love the idea of getting her on a schedule. When she went to La Petite, I never understood how they got the kids to everyday have a routine because when hailey was home, it didn’t quite work out like that….but practice makes perfect. Also does anyone have learning idea’s for a 4 year old? And i wanted to share one idea i read on pinterest for the parent’s having a hard time with their kids putting toys away. Play library with them. Set up a toy box or closet and pick a number of toys you want to allow your kid to play with at one time 😉 then before she can get another one make her check them into their paces 🙂 it work with my baby girl….Just a suggestion. I just wanted to say that it sounds like a great plan and thanks for the tips! Hi Stacey, yes we are just getting into schooling our little ones but I grew up being homeschooled from 5th grade through high school. I loved when I was able to choose some of the “classes” that I wanted to take. I also loved doing extra classes like art and pottery. My children are younger but they love when learning goes along with some “cool” activity…like making slime, or going on a nature walk, or just about ANYTHING hands on. I don’t know if that helps you at all but good luck with everything!